All college-bound students face challenges, but none more than those students struggling to overcome a life-threatening disease. A cancer diagnosis can have devastating effects on a student and their family. Beyond the physical stresses of fighting the disease, there is an accompanying emotional stress and depression that can derail a promising academic career. Students fighting cancer can sometimes feel that there is little point in continuing their education. Moreover, the high costs of cancer treatment only serve to reinforce the idea that college is no longer a possibility, let alone a priority. But nothing could be further from the truth. The emotional and psychological benefits of pursuing a personal ambition can have a profound effect on a patient’s recovery. As for funding, there are a wide range of organizations and advocacy groups dedicated to helping cancer patients, and cancer survivors, afford a college education. These organizations routinely sponsor scholarships designed to help cancer patients and their families find the funds they need to continue their college education. While there are no actual Federally funded scholarships for cancer survivors, there are a number of general grants that are open to all students. These are need-based grants, and the financial burden placed on cancer patients and their families is likely to make them eligible for an award. Cancer patients who are searching for financial assistance to help them meet the costs of tuition should begin with the following Federal programs. The Federal Pell Grant – This program is open to undergraduate students who are pursuing their first associate’s or bachelor’s degree. Awards are determined according to financial need. The maximum annual award is $5,550. The Federal Supplemental Educational Opportunity Grant – The FSEOG is available to students who have qualified for a Pell grant, but are still left with considerable unmet need. The FSEOG program is administered through the financial aid offices of participating colleges and universities, and students should apply through their school of choice. Awards range from $100 to $4000. The majority of scholarships for cancer patients and survivors are funded by the private sector. Professional associations and advocacy and support groups are the primary source of financial assistance for students who are pursuing their college education while battling or recovering from all types of cancer. Students looking for cancer related scholarships should begin their search by looking for organizations and support groups linked to their type of cancer. For example, a student who has been diagnosed with breast cancer will want to concentrate on organizations that support the needs of breast cancer survivors and their families. Scholarships for cancer patients and survivors are dependent upon private and corporate donations. The availability of programs, and award amounts, are subject to change according to current funding. The following programs are examples of the types of scholarships available for college-bound students who are battling cancer. Cancer for College was founded in 1993 by Craig Pollard. The organization offers a number of annual scholarships, ranging from $250 to $4000, for cancer patients and cancer survivors. The organizations is based out of California, and primary consideration is given to applicants from within the state. The Cancer Survivors Fund is a non-profit charitable foundation dedicated to helping cancer survivors find the money they need to complete a college education. The fund sponsors four annual scholarships for cancer survivors. To be eligible, applicants must be a cancer survivor, or currently diagnosed with cancer, and must be enrolled in an accredited college or university. Applicants must submit an essay describing their cancer experience, along with a complete medical history. Award amounts vary, and are determined on the basis of personal hardship and financial need. The Miles of Hope Breast Cancer Foundation is a leading charitable organization and support group in the New York Hudson Bay area. The foundation offers peer to peer counseling, outreach programs, and financial assistance for breast cancer patients and their families. The foundation also awards eight $1000 scholarships every year to students whose lives have been affected by breast cancer. The Patient Advocate Foundation sponsors the PAF Scholarship for Survivors. The program is dedicated to providing scholarships to students who have suffered, or are suffering, a life threatening disease. Applicants must be under the age of 25, must submit two letters of recommendation, must provide a detailed medical history, and must be enrolled full time at an accredited college or university. Recipients of the scholarship must agree to complete 20 hours of community service for each year the scholarship is awarded. The annual award amount currently stands at $3000. The American Cancer Society is one of the largest and must successful advocacy groups in the United States. ACS administers the Youth Cancer Survivor College Scholarship for students under the age of 25 who were diagnosed with cancer prior to their 21st birthday. The maximum annual award amounts is $1000. Families of cancer patients face their own challenges. Understandably, the concern for the child or sibling is paramount, and all attention is directed towards their battle with this life-threatening disease. But cancer can derail an entire family’s future, and the extended treatments can quickly deplete a family’s savings. Consequently, many family members may have to defer their college education indefinitely due to lack of financing. Many charitable foundations and advocacy groups understand that a diagnosis of cancer effects more than just the patient, and have developed a number of scholarships designed to help the family members of cancer patients to continue their college education. These programs are designed to address the specific needs of the children and siblings of cancer patients by providing financial assistance to help them meet the costs of a college tuition. The following programs are examples of the type of scholarships available for family members of cancer patients and survivors. SuperSibs! is an advocacy group dedicated to the needs of the brothers and sisters of cancer patients. The SuperSibs! Scholarship Program is open to graduating high school seniors who are the sibling of a cancer patient or cancer survivor. Applicants must have a minimum 2.0 GPA, and must be preparing to enroll in a four-year accredited college or university. Award amounts vary. The Mary Ellen Locher Foundation provides scholarships to the children of breast cancer patients. Applicants must have a high school diploma or GED, and must be enrolled full-time at an accredited two-year of four-year college or university. Award amounts vary, and are determined on the basis of academic achievement, community service and financial need. The Ulman Cancer Fund for Young Adults sponsors an annual scholarship for college-bound students affected by cancer, either through their own diagnosis or the diagnosis of a family member. Applicants must have been 15 years of older when their parent or sibling was taking treatments for cancer. 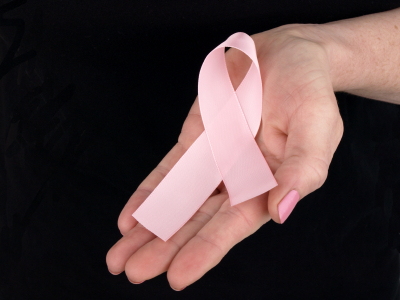 Recipients must agree to perform 40 hours of community service related to cancer awareness. The award is valued at $2500. The Inheritance of Hope Scholarship is available to college-bound high school seniors with a parent who has been diagnosed with terminal cancer. Applicants must submit a video essay on their family’s cancer experience, and must provide a medical history of their terminally ill parent. The scholarship provides a one time award of $1000. A diagnosis of cancer, either for a student or for a family member, can easily interrupt a promising college career. But with the help of charitable foundations and advocacy groups that doesn’t always need to be the case. These organizations work hard to help students and families cope with the fight against cancer, both financially and emotionally. Cancer is a frightening disease, and while it may alter the course of a person’s life it does not have to totally derail it. Scholarships for cancer patients, their children and their siblings, can help to keep a student’s life on track.